Delicious pizza, a movie that sucked and a supportive spouse! All introvert comforts aren’t they Bob? Thanks for your generous mention. I love this post. In particular that your bracing yourself for the NEXT get together. LOL. I can so relate! Hi Pat. Your post really motivated me to write this one. 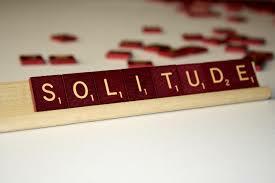 It made me think why we need to be extraverted when what we really want is a quiet evening alone or with family. Bob, I sure can relate to this! It is a great tribute to her that your spouse sees it as “adult”! It is. It also is important downtime so that you – the introvert – can be your best at work. Our lives are whole things and energy is finite. As introverts, we need to conserve our energy however we can in this noise-filled, fast-paced world that we live in. I understand where you’re coming from. It is a little difficult finding alone time for those who are married with families. One would need to find a balance to be supportive of the family and satisfy the need to be alone. It makes it so much easier if you as an introvert are understood. So often we introverts are misunderstood. We are labelled unsociable and companies forever want to send us on leadership and assertiveness courses. I have never heard of an extrovert being sent on a modesty course and it frustrates me that companies feel the need to change introverts. Margaret, I love your comment. You understand how I feel, including being called unsociable–by my wife that night, but we’ve gotten over that. Being an introvert carries a stigma that makes me wince when I tell people I’m one. The world wants us to be more extraverted but doesn’t expect extraverts to be more introverted. No, I’ve been to the New Year’s Eve get together and am not a big fan of them. I’m lucky if we’re out of there by 1:00 am. You are cracking me up! “wishing we would have taken separate cars…” I have SO been there too! Taking separate cars would make too much sense. 😉 I’ve heard this as a possible solution. What’s most awkward is saying goodbye to all the guest while my wife is still at the party.